We’re going back to the basics this week with three articles on the essentials of change management. letzNav Takeaway: The goal of change management principles isn’t to simply make the change. The goal is to make the change efficiently and ensure its ingrained in the company so you get the full ROI and expected benefits of the change to a new platform. Make sure your change management plan includes these essentials so you can achieve your desired results. 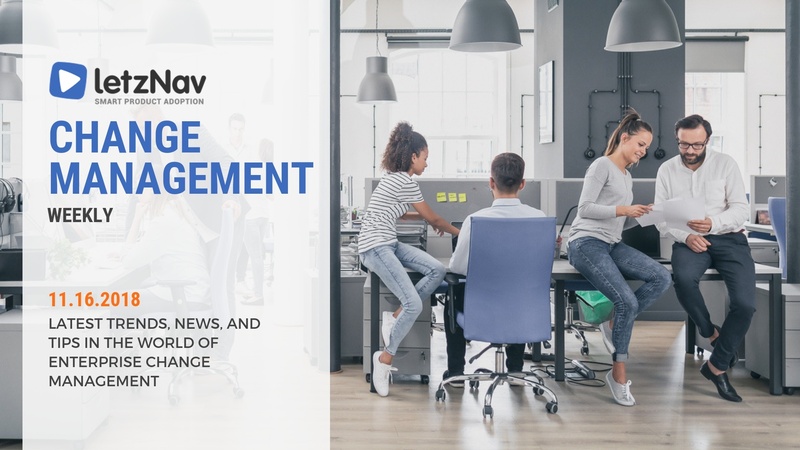 letzNav Takeaway: Change management can have a powerful impact on your business’s growth and future. Failing to adequately manage change could have dire consequences. Invest in the planning and resources to make sure your initiative is a success. letzNav Takeway: This article includes an excellent suggestion for helping with the transition to new enterprise software. Offer a Q&A session with someone who has used the new system. This person can act as a cheerleader for the new system and address fears employees may have about the switch.